Residential development for home owners is always exciting. Whether it’s a spacious extension to your existing home, a lovely loft conversion, a gorgeous garage conversion or an amazing architect-designed dream property, residential designs impact directly on people’s lives. If you’re a landlord looking to build, convert or extend properties within your portfolio we help here too, with thoughtful and creative use of space to really capitalise upon your investment. The most crucial aspect of any domestic development is to bring increased pleasure to your life. We’ll help you with creative designs that maximise light and space in the most effective ways with increased living space to inspire your family and friends. When you’re looking to improve the family home it’s important to make sure that whatever you spend on your project adds value when it eventually comes to selling. We give you design drawings showing a range of options so you may like to approach an estate agent for a projected valuation so you proceed with confidence. 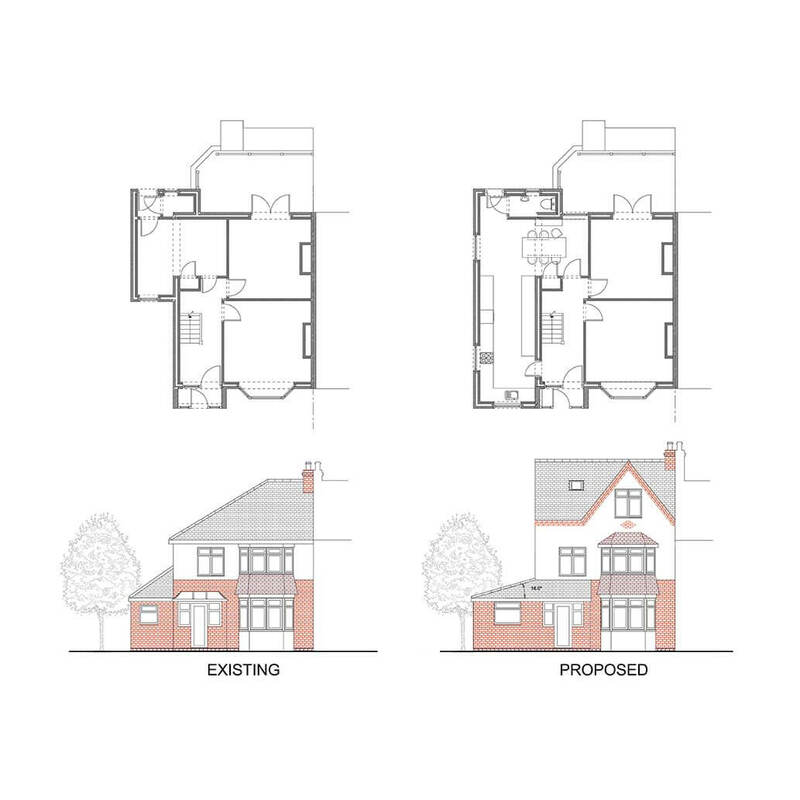 Our team at Ecclesall Design has an outstanding track record in achieving planning permission. That’s a fantastic success story. We’re proud to be able to share our knowledge and passion for creative and thoughtful design with our clients. Our designs for you can be as creative and innovative or traditional and conservative as you’d like. Some clients approach us with sketches of exactly what they want, more often people have finally made the decision to start the process and come to us for ideas and inspiration. Either way is good with us! Are you looking for a full Design and Build service? We offer a one-stop shop solution so once you have Planning Permission we will help you to select the best builder for your work – we can recommend some good local builders – and then provide project management right through to the final coat of paint. 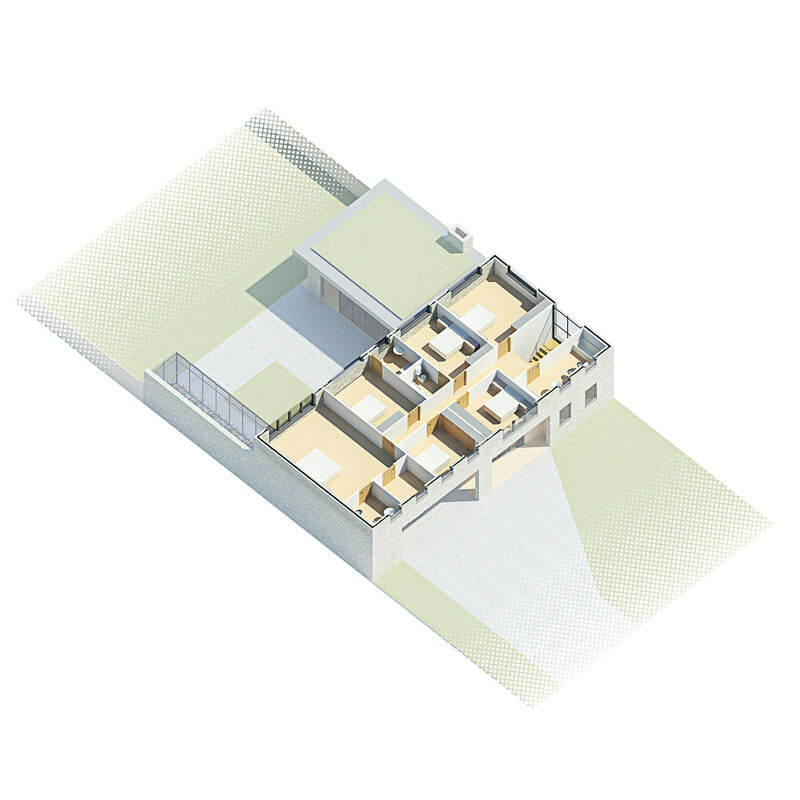 Alternatively, we’ll provide the drawings and Building Regulation details for your builder. You manage the project with support from us whenever it’s needed. We’re here as little or as much as you’d like us to be! We love designing new homes. It’s a blank canvas, a fresh sheet of paper on which to jot ideas, constraints, wish-lists, budgets and expectations before the serious work starts. A new home can be your dream property, the culmination of years of hard work that have finally led to the chance of a lifetime when you find that piece of land on which to build. Or you may be seizing a commercial opportunity to develop a site so your main intention is to provide saleable properties to maximise your investment. Our Ecclesall Design team will be as inspirational or as down-to-earth as you like. 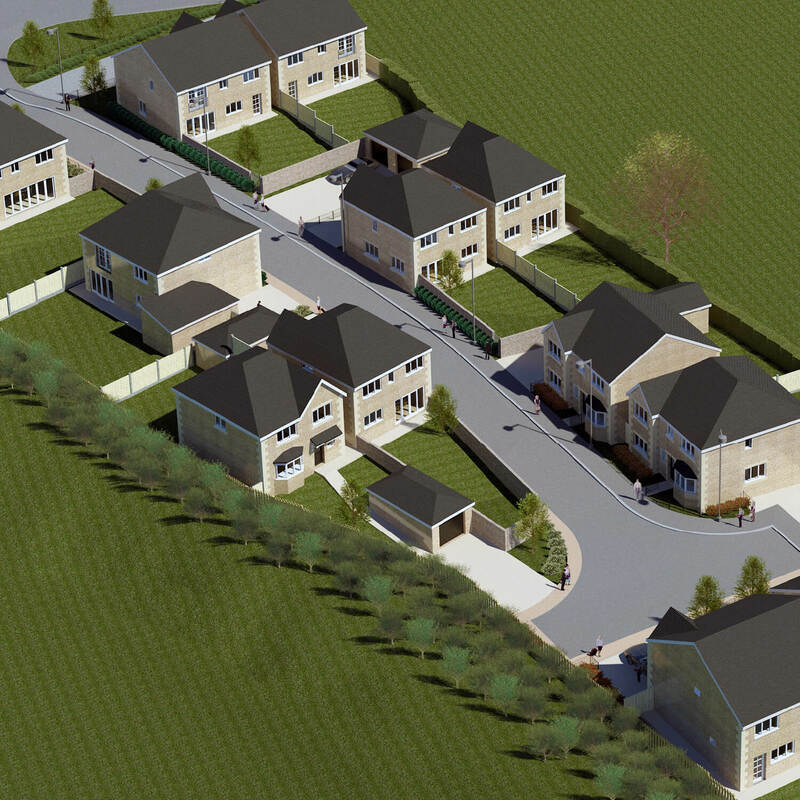 We focus initially on making sure that the new house – or however many properties you want on the land – sits nicely on the plot and that there’s adequate garden (or amenity space, as the planners describe it) and car parking space for the prospective inhabitants. Cost is a consideration. We bear in mind the value of the land and the likely cost of the build before we start. Every area has a price ‘ceiling’ and you doubtless only want to build when you can expect an appropriate return for your investment. We will provide assistance to you so you can make an informed decision at an early stage. Every client and each family is different. Some yearn for a contemporary property with new materials and a modern feel, others are more traditional and have fixed ideas of how they’d like the house to look. We work with everyone on an individual basis to talk about how you’d like to use the house, whether you want airy open plan or snug, cosy living accommodation – or a combination of both. Tell us how exactly how you’d like your new home, or let us show you a range of creative options that you’ll love! Are you perhaps looking to bring value to a shop that’s been in the family for a while and you feel that a flat – or two – above would bring in additional income? Or maybe you’ve been letting out a terraced house in one of the many student areas in Sheffield and as the market has changed, now feel that a conversion to separate flats is in order? Have you recently acquired a plot of land and feel that its ‘highest and best use’ would be to build a block of apartments? If the answer to any of the above questions is ‘Yes’ then please do get in touch. We’d love to hear from you and have the opportunity to discuss your project with you. 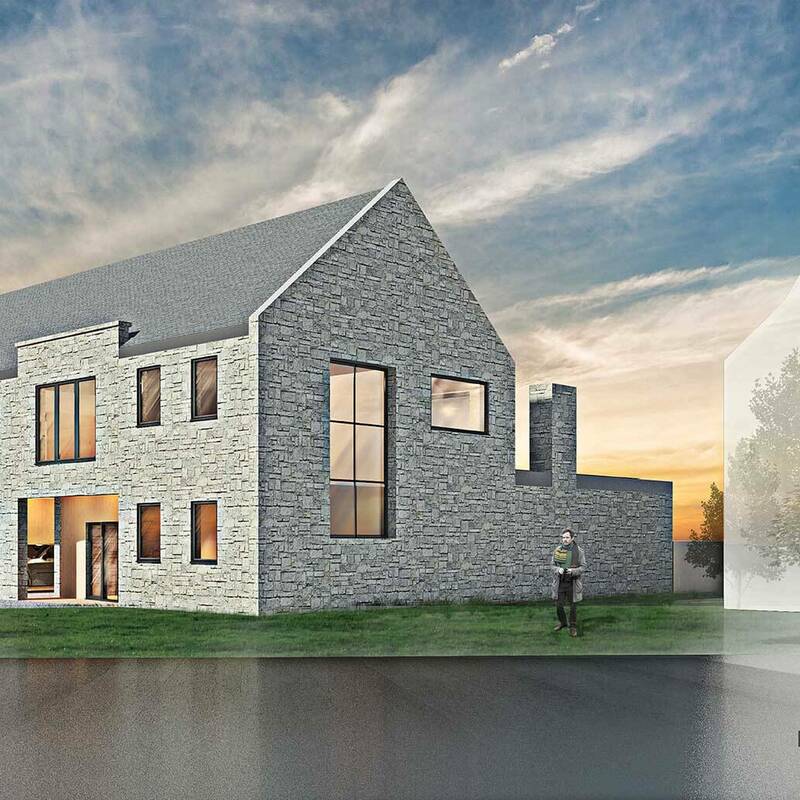 At Ecclesall Design we appreciate that when you’re presented with a development opportunity you firstly want to identify a proposal that will reward your investment with minimal risk. Our expertise lies in maximising your return on that investment with a creative use of land that will provide attractive, desirable properties. We work closely with other professionals including specialist land law solicitors. We help on tricky projects such as those involving restrictive covenants, easements, rights of way, ransom strips, boundary disputes and any other issues. Please discuss your ideas with us and ask any questions.